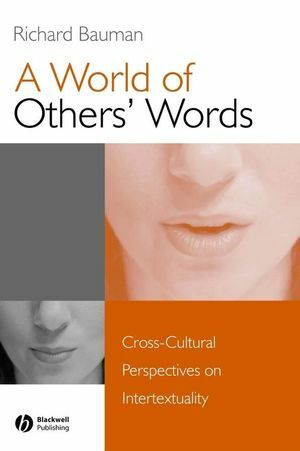 Drawing on his work in Iceland, Ireland, Scotland, North America, Ghana, and Fiji, linguistic anthropologist and folklorist Richard Bauman presents a series of ethnographic case studies that offer a sparkling look at intertextuality as communicative practice. A fascinating perspective on intertextuality: the idea that written and spoken texts speak to one another, e.g. through genre or allusions. Presents a series of ethnographic case studies to illustrate the topic. Draws on a broad range of oral performances and literary records from across the world. The author’s introduction sets a framework for the analysis of genre, perform and intertextuality. Shows how performers blend genres, e.g., telling stories about riddles or legends about magical verses, or constructing sales pitches. The author’s introduction sets a framework for the analysis of genre, performance and intertextuality.